‘Baji’ is all set for a 6th February 2015 release across theatres in Maharashtra. 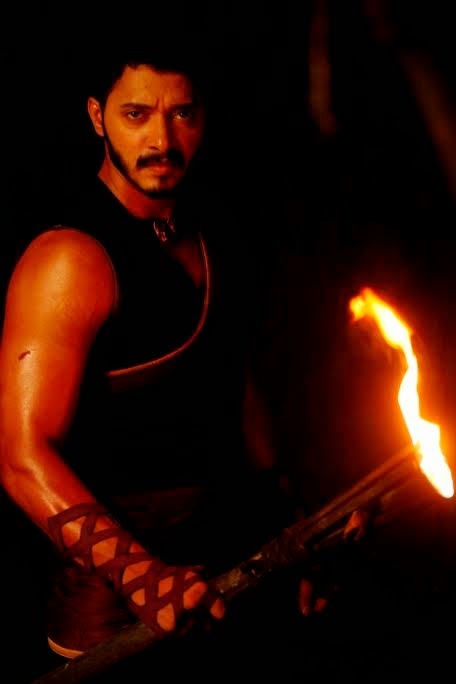 The film which marks the return ofShreyas Talpade as an actor to Marathi cinema after eight years and boasts of ace stunt director from the south popularly known as ‘Stunt Selva’, for the first time in Marathi cinema. An epic blockbuster and pure family entertainer ‘Baji’ is shot across picturesque Konkan locales. Itis an action-adventure-romance laced superhero vigilante about and hidden treasures, based on the legend of a man who took upon himself to protect the common man against oppression and injustice in this small village in Shrirangpur. No one knows who he is or where he comes from, but whenever the village is in peril, Baji has always come to its rescue. His sword, his bow-arrow and his white stallion live on to define him. Presented by DAR Motion Pictures, in association with Virtue Entertainment, Baji is produced by Arun Rangachari, Vivek Rangachari, Amit Ahirrao, Deepti Talpade, Suhrud Godbole, Hrishikesh Kulkarni and Nikhil Mahajan and is scheduled to hit the silver screen on 6th February 2015. Other key credits include Writer and Director: Nikhil Mahajan, Dialogues: Shrirang Godbole, Original story: Nikhil Mahajan & Suhrud Godbole, Director of Photography: Vasu Rane, Editor: Abhijeet Deshpande, Music: Atif Afzal, Lyrics: Shrirang Godbole, Co-Producer: Ayush Maheshwari and Executive Producer: Pavan Malu (Blue Drop Films).